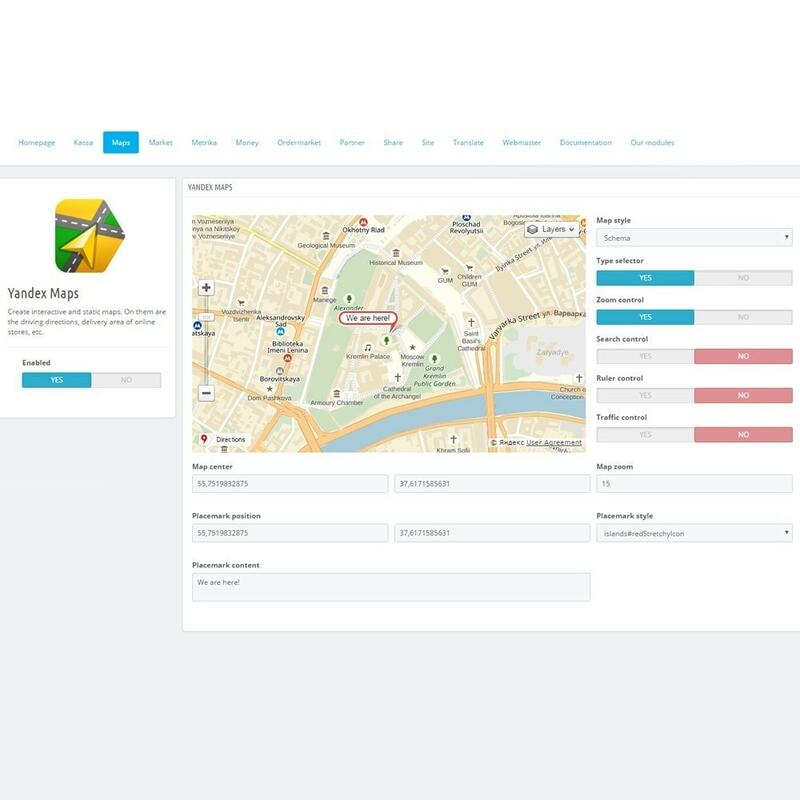 Yandex Maps: On the contact page you can add dynamic map where you can specify the address of your shop. 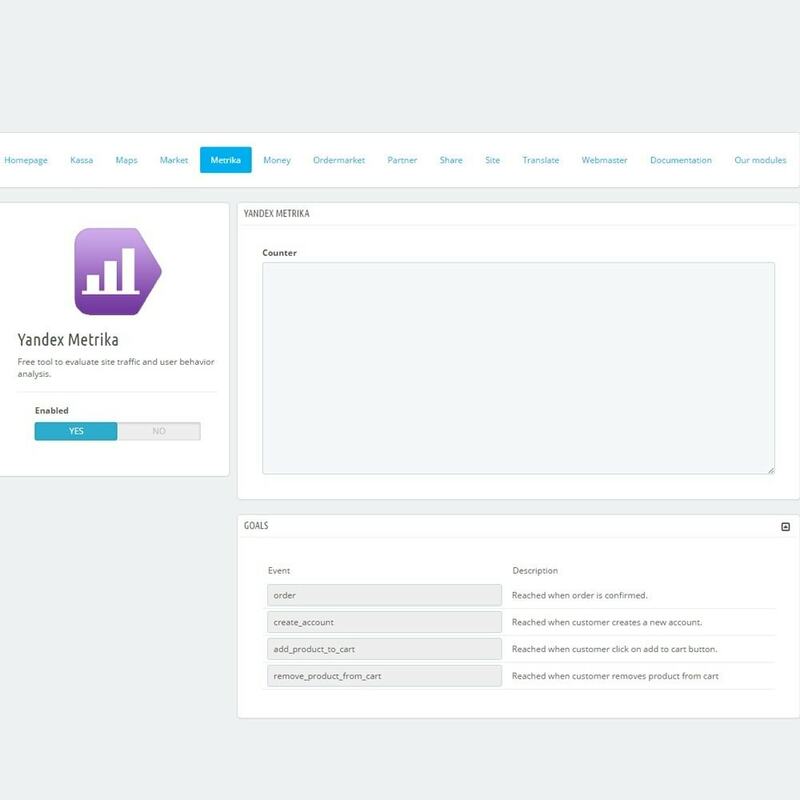 Yandex Market: Add your goods to the popular showcase Yandex Market. 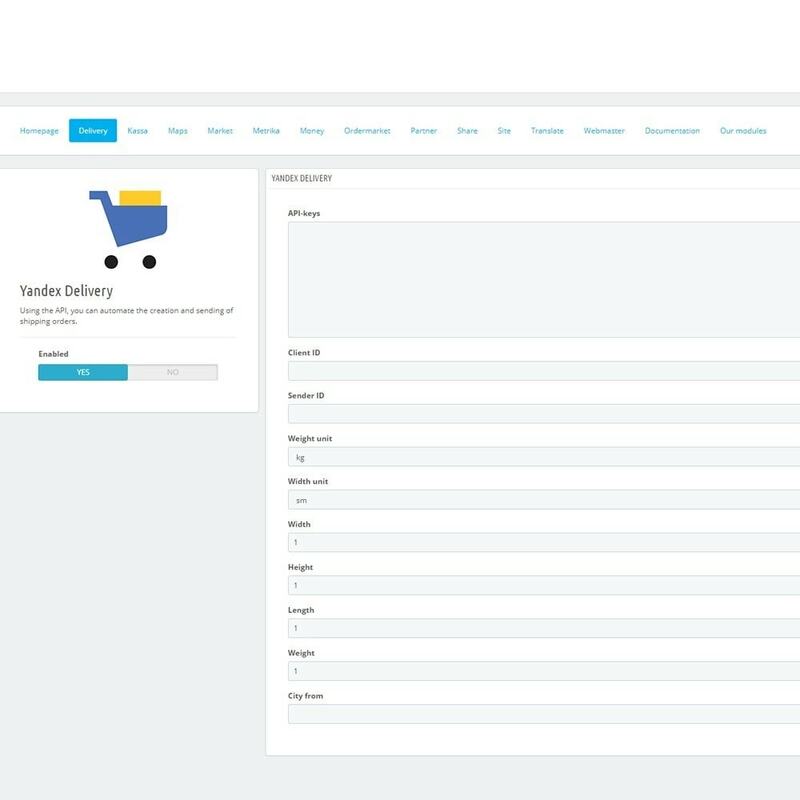 Yandex delivery: using the API, you can automate the creation and sending of orders for delivery. 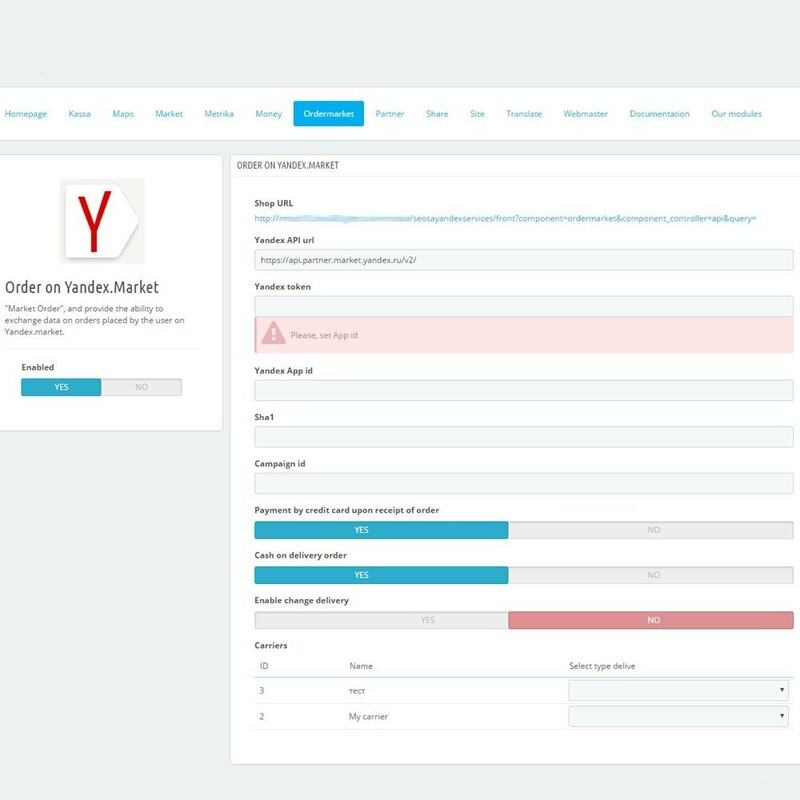 Order on Yandex Market: allows you to receive data on orders that were placed in Yandex Market. 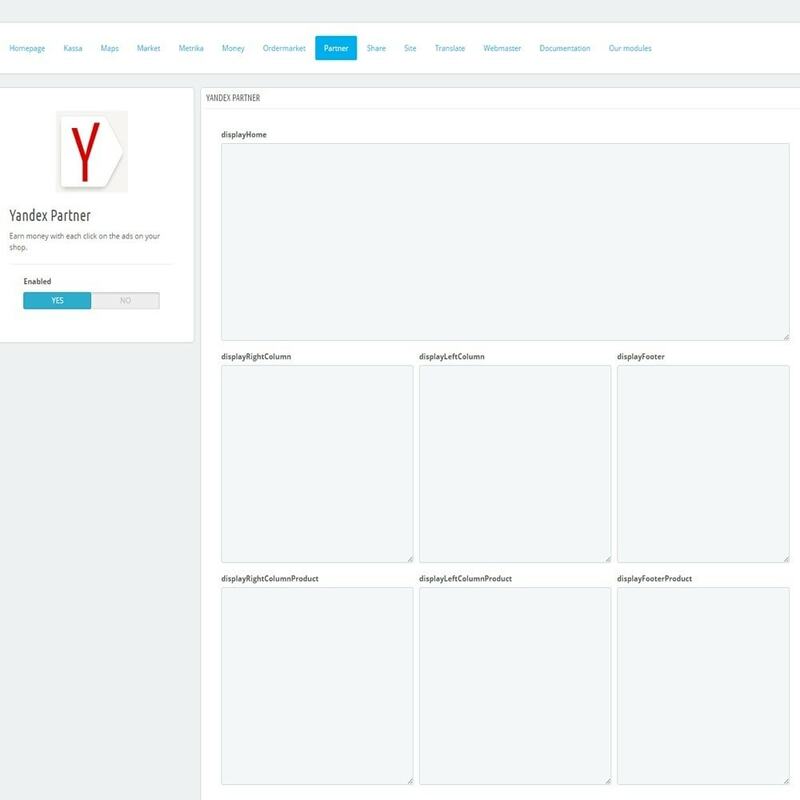 RCY: you can install advertising blocks from Yandex, and earn money. 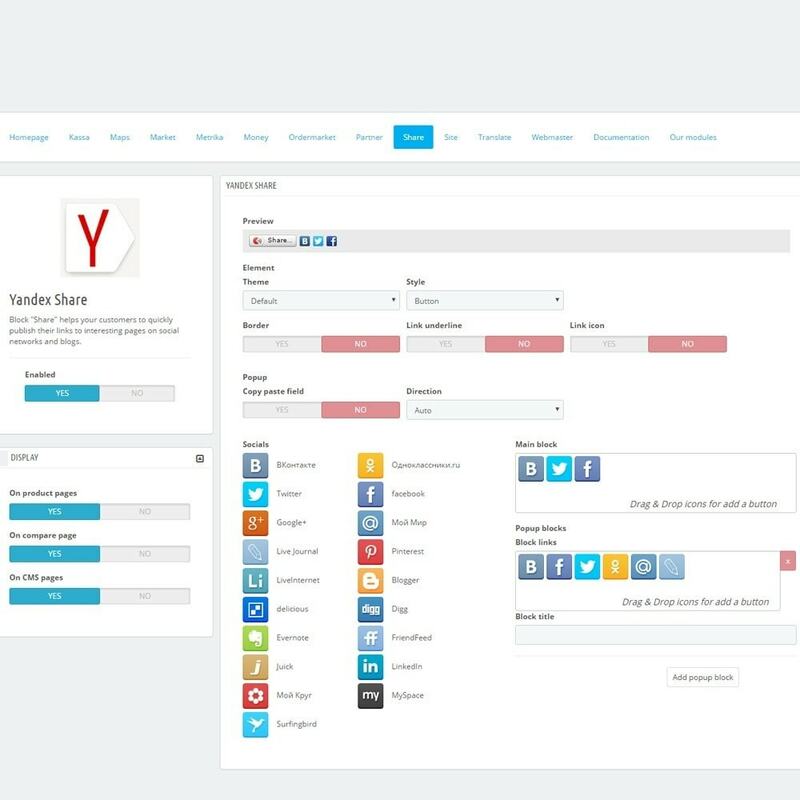 Social buttons: on products cards, on the CMS pages, on the page of comparison you can add social buttons that are easy to customize. 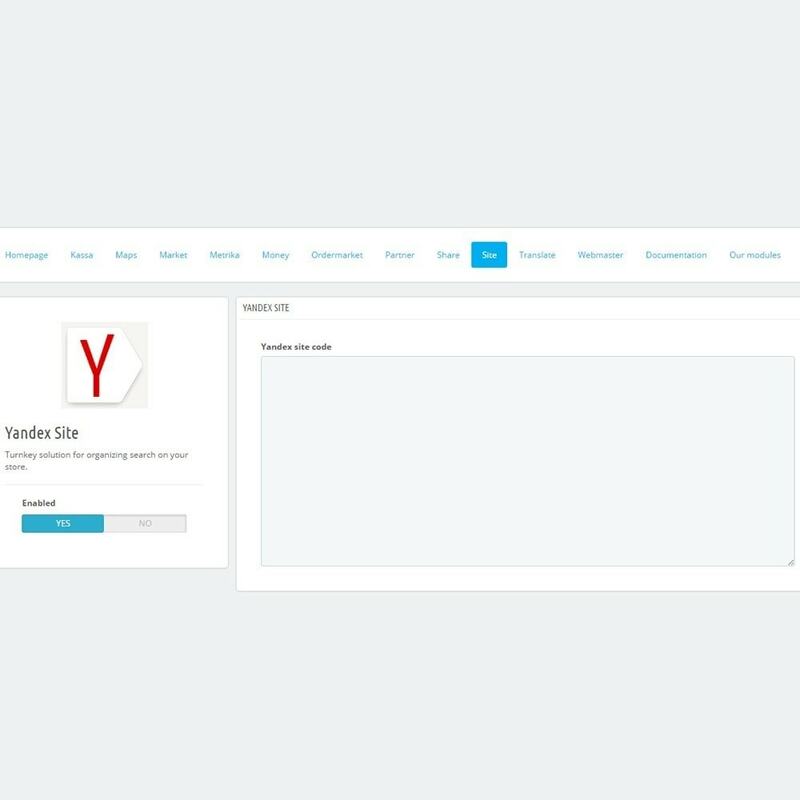 Yandex Search: in your shop, you can add search by Yandex. 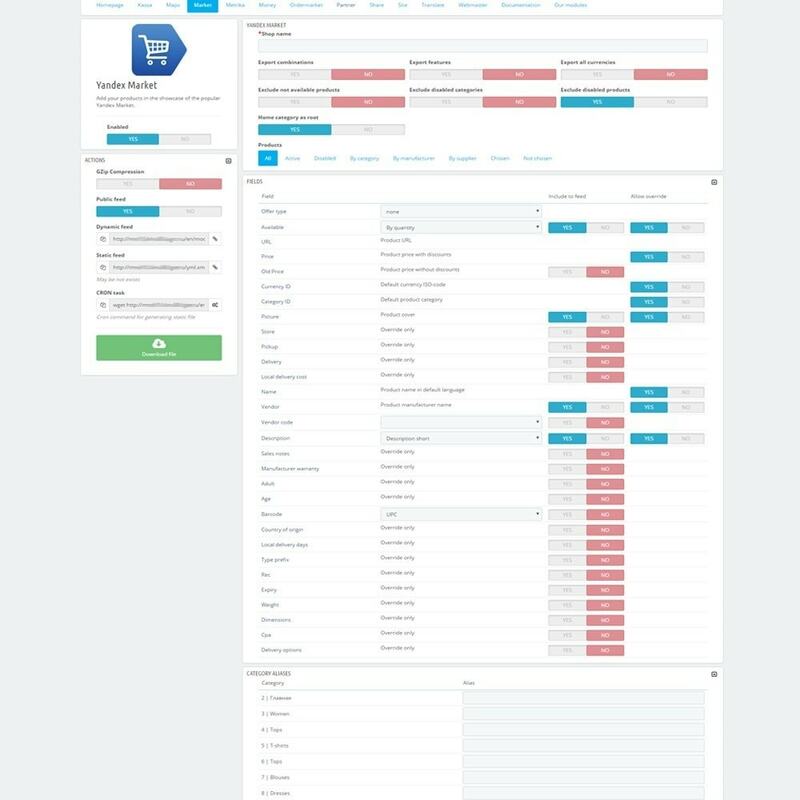 Yandex Translation: service will help translate the product description, category, product name into another language directly from the backend. 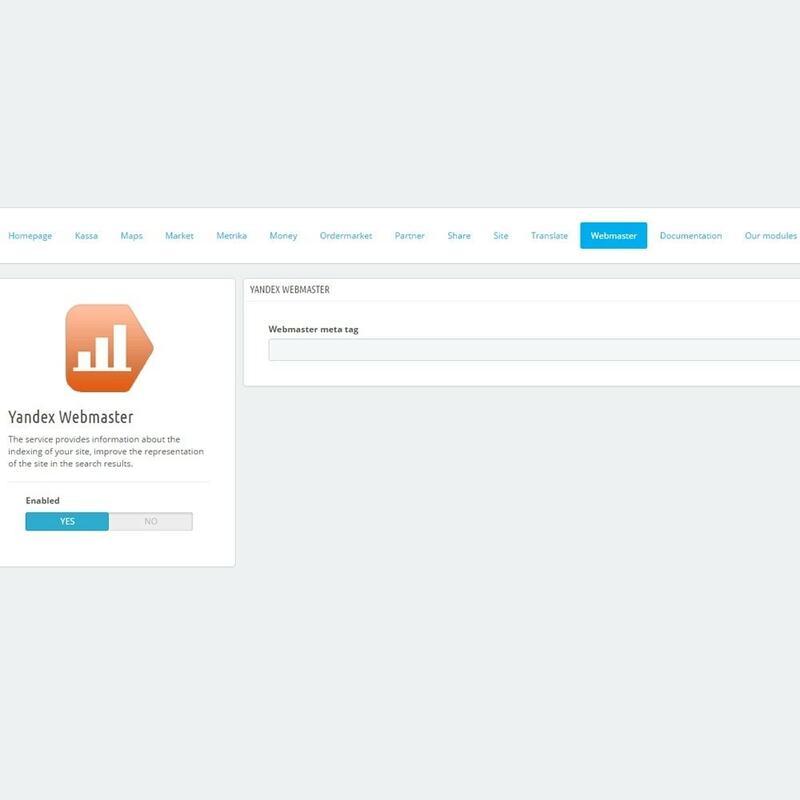 Yandex webmaster: your store will be integrated into the service. 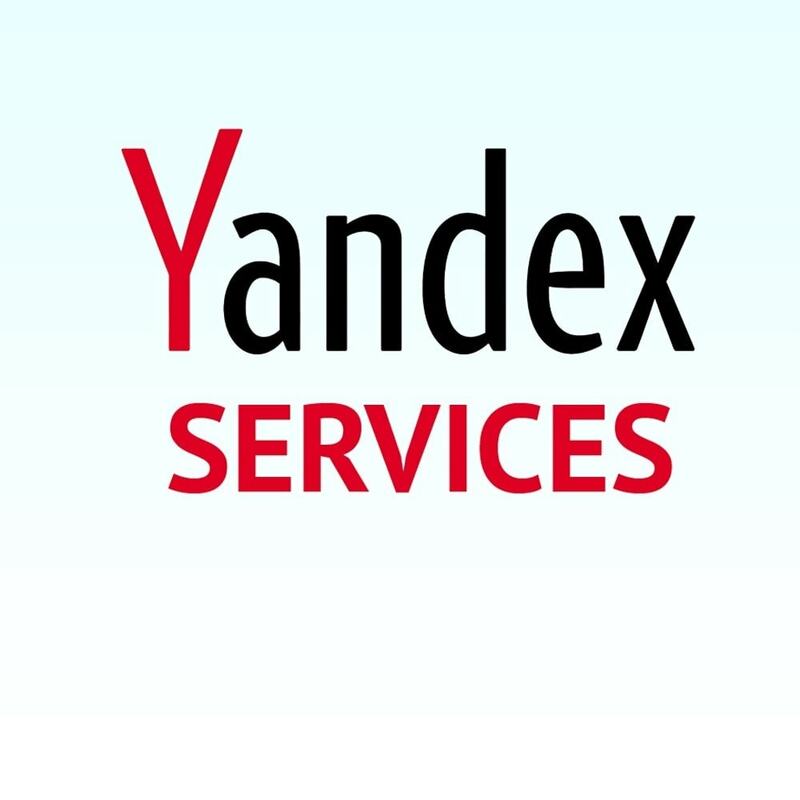 add new function "add service Order on yandex market"
add new function "add service Yandex delivery"